Sunn O))) “LifeMetal” just got released on CD and LP for Record Store Day! 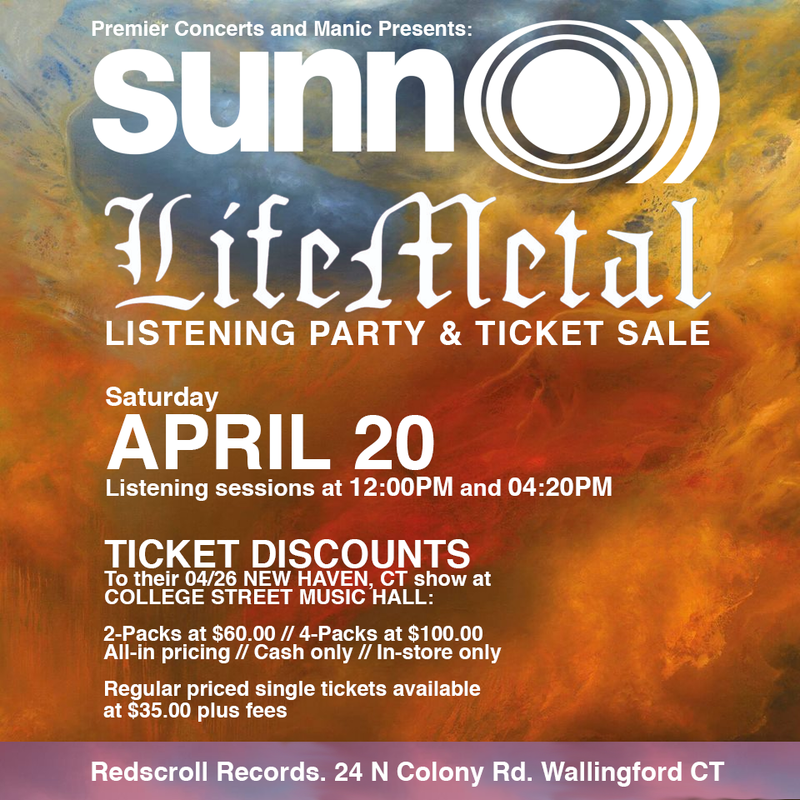 Sunn O))) is coming to New Haven on the 26th (which is also the wide release date of the album) and we’ve partnered with Manic Presents / Premier concerts to do a listening event this coming Saturday, April 20th. At Noon (when we open) and again at 4:20PM (for the most obvious and ridiculous reason) we’ll listen to “LifeMetal” and all throughout the day we’ll be offering a discounted rate to the show. Four-packs of tickets will be $100 (all-in – no extra fees) and Two-packs of tickets for $60 (also no extra beyond). This is an in-store ticket deal only (not available online)! We’ll also have posters, promo cards and a few stickers to give out courtesy of Southern Lord Records. Looking forward to drone with y’all!